We want to get you moving but we also want you to have fun, get results, and enjoy the process while doing it. No matter your size or Fitness level we have a program for you. We offer multiple styles of training such as cardio boxing, weight training, athletic training , TRX training and more. Nutrition is very important and will set you up for success when done right. Without proper nutrition you will not see results in or out of the gym. This is why we offer nutritional coaching, grocery store tours, home food raids, and teaching you how to read food labels. Remember you can not out train a bad diet. This is the most important part out of all the three. We emphasize to individuals that they need to be mentally ready and focused before they start this process. We try to encourage, motivate, and be there every step of the way even when there are bumps along the way. We will challenge you mentally and physically. My experience with Next Level Fitness PT was one of a kind. As a result of the services I received, I learned the muscle groups which gave me the body that I desired as well as various exercises to target them effectively. I also obtained nutritional instruction which proved to be priceless on my journey to better health and living. I couldn't ask for more from a trainer. It was all for a very affordable price, and well worth every dime spent. Where do I start...Devin is encouraging, intelligent at his craft, caring & willing to go above & beyond to get you to your fitness goals. He is patient, while pushing you beyond what you think you can do. “Can’t” is not a word that will fly with him. There’s been many times where I thought I couldn’t, but I could and did!!! When I leave my training session I feel rejuvenated, physically & mentally. This past week my body was not cooperating & going through something. Devin was there every step of the way by sending videos, texts, tips, etc. I’m happy to say, with all his expert advice, everything is back on track! Going from the laziest person on earth to looking forward to my Tuesday & Thursday evenings with Devin, the time & money spent are well worth the investment! You’d be crazy not to check him out!!! This is Nick and he has had a long and difficult journey like most. He succeeded in losing more than 50 pounds and losing 8 inches on his waist at the time of this picture. He continues to lose weight and becoming healthier on his transformation journey. 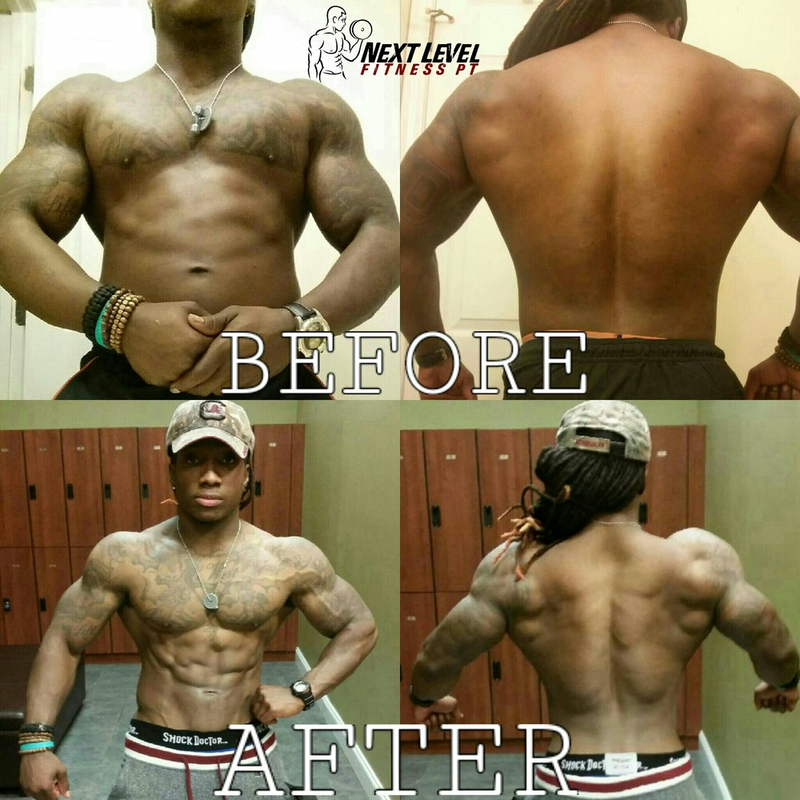 Sterling was the very first client I have ever prepped for a Mens physique competition. The best part of this story is that he placed first in his very first show and qualified to go to nationals which is one step below becoming a pro. He got these results you see above in only 3 1/2 months with hard work, dedication and consistency. A very educated trainer. The experience gives much confidence in the sessions being well worth attending. You definitely get more than what you pay for because you are not just doing, but you are learning. The programs come from a perfect blend of knowledge and experience. Devin shows that he cares not only about his business and reputation, but also about those who participate and support it and him. I would argue that he is the last trainer you will ever need no matter what your goals are. Welcome to Next Level Fitness PT! Our mission is to help you change how you look, feel, and what you think about health & fitness. We have helped people from all walks of life, all over the world, and we can help you! 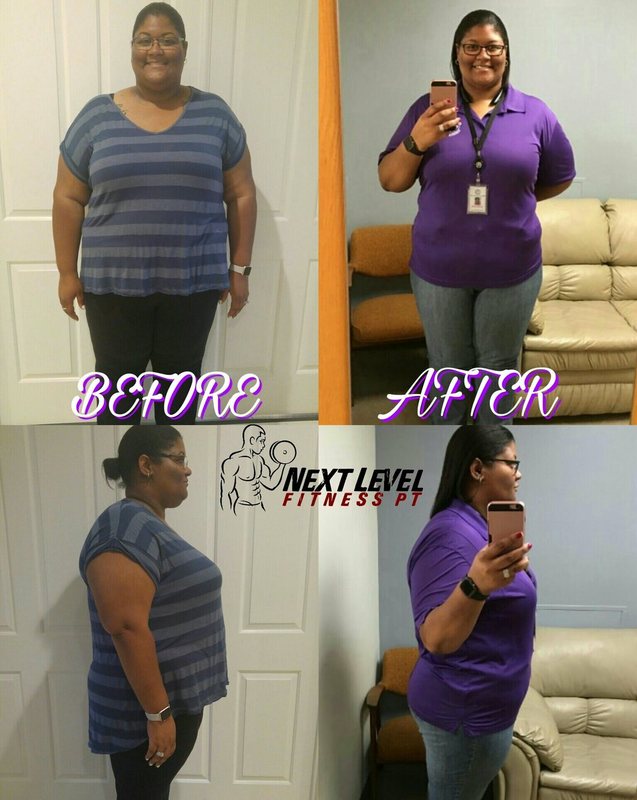 Next level fitness PT has a different approach in helping you reach your goals, by first understanding your past and present history involving health & fitness. We take the time to learn who you are as a person to make this the best possible experience you will have involving health and fitness. We will create and customize a workout and nutritional plan specifically for you while encouraging positive thinking to ensure that you reach your fitness goals. The number one factor we stress the most is nutrition. That is the key to your start in changing how you look and feel about fitness. Let Next Level Fitness PT help you discover the benefits of becoming a healthier you. Devin is the owner of Next Level Fitness PT and has 20 years of experience in the health and fitness industry. He has trained clients from ALL walks of life, and includes: Pilots, Attorneys, College Athletes, Police Officers, Military, and Stay-At-Home Moms. I have also helped clients to lose 100 lbs and more while reprogramming their minds and bodies. Also helping them to realize that living a healthy lifestyle is worth all the time and effort they are putting into it. 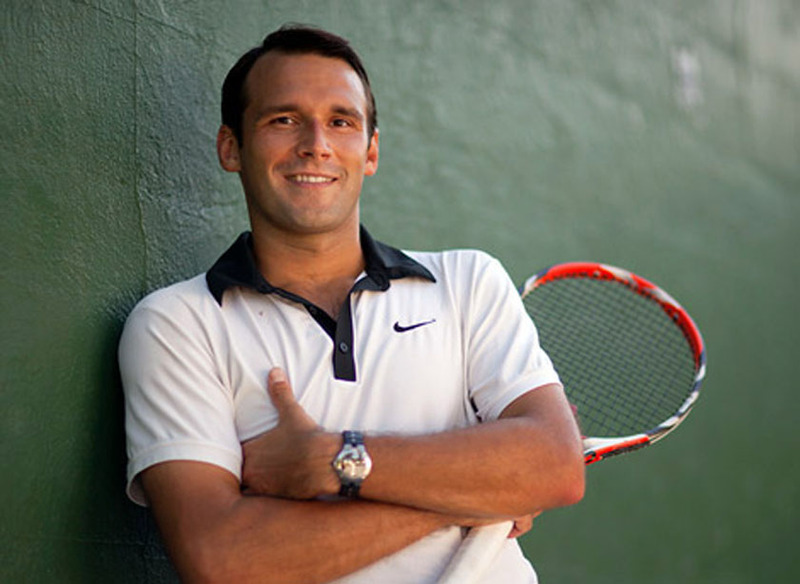 He began playing sports at a early age, and interest in fitness, health, and living a active life has continued over the years. In high school, He was very active and participated in 5 different sports, accomplishing being on the State track team my first year of running with the team. He was also nominated to be a part of the "Who’s Who In American High School Sports". He also has accomplishments is being a Men’s Physique competitor in the NPC ("National Physique Committee"). We change minds and bodies at the same time! "Get Right Keep It Tight"
OF HANDS ON FITNESS EXPERIENCE!!! WE ARE EXCITED AND READY TO START HELPING YOU REACH YOUR FITNESS GOALS. "Get Right Keep It Tight"